You can have beautiful nails with nail care tips! Discover how to choose the best nail polish! Have you looked closely at your nails? They are more than just pretty natural extensions of your fingers and toes. They can indicate health concerns. The condition of your nails determines whether to see a doctor, a manicurist or attend to them yourself. 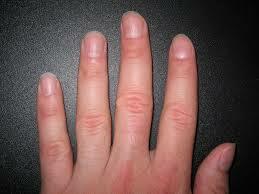 - Soft or brittle nails may indicate a lack of nutrients. - Nails with white spots may indicate calcium deficiency. - Blue or purple nails may indicate poor circulation. - Yellow or white nails may indicate a fungus infection. - Longitudinal ridges on nails may indicate digestive issues. - Split nails may indicate a mineral deficiency of copper and magnesium or essential fatty acid deficiency. Adjust your daily routine or diet for naturally beautiful nails! For those of you who do not use nail polish at all, you can still have pretty nails too! Are you using the best nail polish? Take a moment and look at the ingredients in your nail polish. It could affect your health! The three main ingredients in nail polish called the “toxic trio” consist of: formaldehyde, dibutyl phthalate (DBP) and toluene. In addition to these three ingredients there are two more ingredients of concern: formaldehyde resin and camphor. I will explain each ingredient and their health concerns. FORMALDEHYDE: Used in nail polish to harden nails. Typically used as a preservative, sterilizer and to embalm bodies. Formaldehyde is a known carcinogen, connected to nasal and lung cancer. FORMALDEHYDE RESIN: Stays active for 3 days after polish has dried. 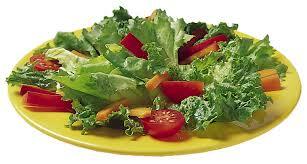 Can cause skin dermatitis and irritation. DIBUTYL PHTHALATE, (DBP): Used in nail polish to ward off chips and cracks. It’s used to make plastics extra flexible. It’s used in shower curtains, hairspray and plastic wrap. It’s not believed to be a carcinogen, but it has been linked to reproductive issues if the mother is exposed to it while pregnant. The European Union has banned it for use in their cosmetics, but it’s still used by USA cosmetic companies. TOLUENE: Added to nail polish to promote smooth application. It’s also found in gasoline and TNT. It can affect the nervous system, cause dizziness, eye irritation, nausea, birth defects, headaches, liver and kidney damage. It is banned by the European Union, but allowed for use in USA. CAMPHOR: A natural ingredient but can be dangerous and toxic if inhaled in large doses. It can cause nausea, dizziness and headaches. There really is no need for camphor in nail polish. Due to public outcry, most nail polish companies have now removed the “toxic trio” from their polish. If your nail polish contains any of the “toxic trio” ingredients, be safe and stop usage. Look for polish that is natural or vegan, free of toxic ingredients. If you have a manicure or pedicure at a local spa, look closely at their polish. If they contain toxic ingredients, do not use. Take your own, toxic free, nail polish to the spa and use it instead. Discover 3-Free, 4-Free, and 5-Free nail polish, clear base and top coat. Have colorful or clear pretty nails and avoid toxic chemicals. Stay close to nature! 3-FREE NAIL POLISH: Free of DBP, Toluene and Formaldehyde. 4-FREE NAIL POLISH: Free of DBP, Toluene, Formaldehyde and Formaldehyde Resin. 5-FREE NAIL POLISH: Free of DBP, Toluene, Formaldehyde, Formaldehyde Resin and Camphor. Discover goat milk soap and homemade skin care tips!